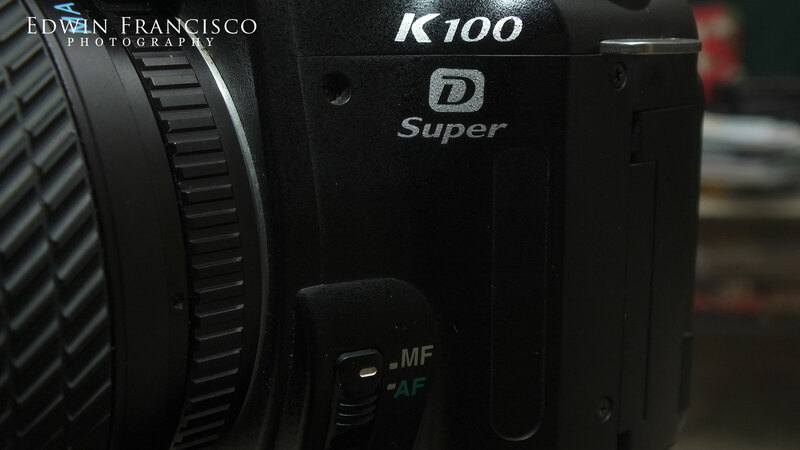 This is the Pentax K100-D Super. I saw this camera on Sulit.com.ph on the second week of January 2014. I was curious to get a very affordable DSLR (Digital Single Lens Reflex). I still don’t have plans getting an actual DSLR, but I thought that this is the perfect camera to start with. The camera is originally priced at PhP42,400 ($800) when it was released in 2006. I was able to get this at PhP6,000 ($140). This camera is put against a Nikon D40. 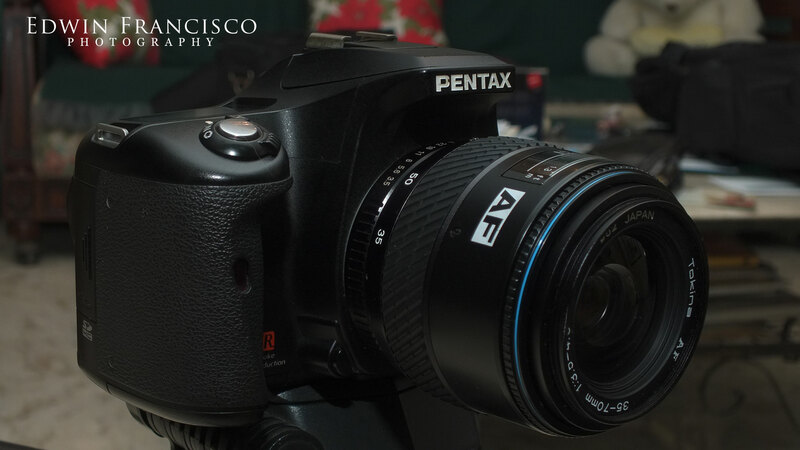 What fascinated me with this camera is that it runs on AA batteries, so it doesn’t force me to buy any new batteries since the Eneloop rechargeable batteries that I use will work just fine on the K100-D. Pentax lenses work fine regardless of how old your camera is. They made a standard since the 1970s and they kept it that way. So, getting an old used lens or getting a brand new one won’t affect me as much, it should just work perfectly well on my camera as long as I get a K or M mount as they call it. Why did I get this camera in the first place? Because there are limitations that I had with the HS25EXR like the limited “bokeh” effect and the limited exposure time when you increase the ISO. I also wanted to work on RAW files since I have not used any camera that actually used the format. So, this camera will fill in that gap. ISO settings are set to 200, 400, 800, 1600 and 3200. Yup, there is no ISO100, when I thought that having that was a standard. But it’s fine, since ISO100 and ISO200 quality is very negligible. Exposure time is from 1/4000 sec to 30 seconds at any ISO setting. It even includes a flash. First of all, the camera itself looks great. It doesn’t feel very old, it does feel very heavy. 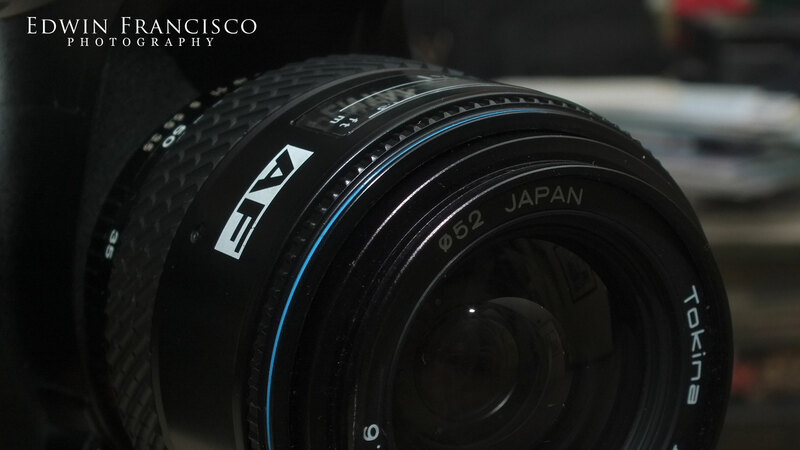 The original owner included a Tokina 35-70mm lens which has an aperture setting from f3.5 up to f22. 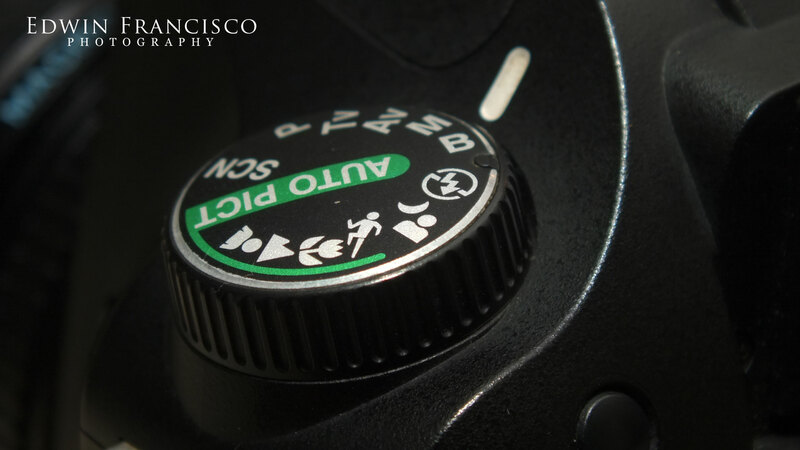 The lens itself is “crippled” meaning manual aperture settings won’t work, but you can use the digital settings instead. So it still works fine and without a problem. 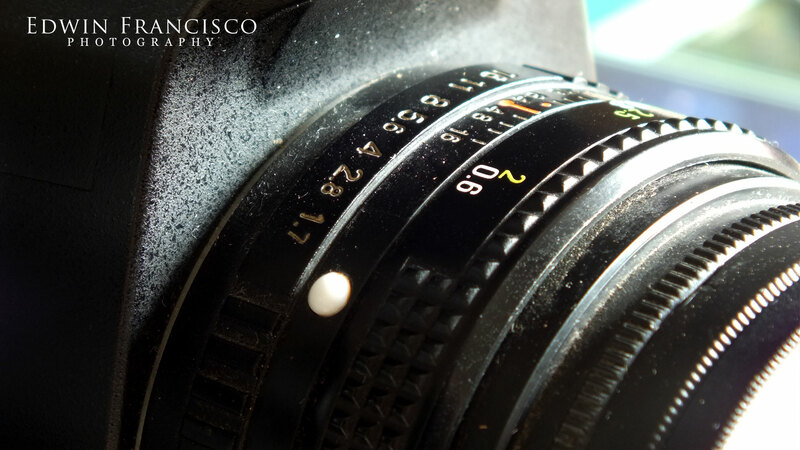 What made this camera so good to play with is that the manual focus works great. 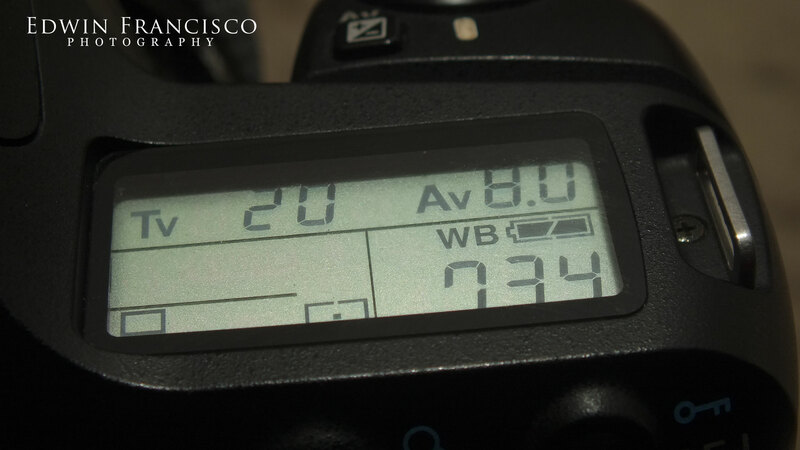 It feels perfect compared to using the HS25EXR. 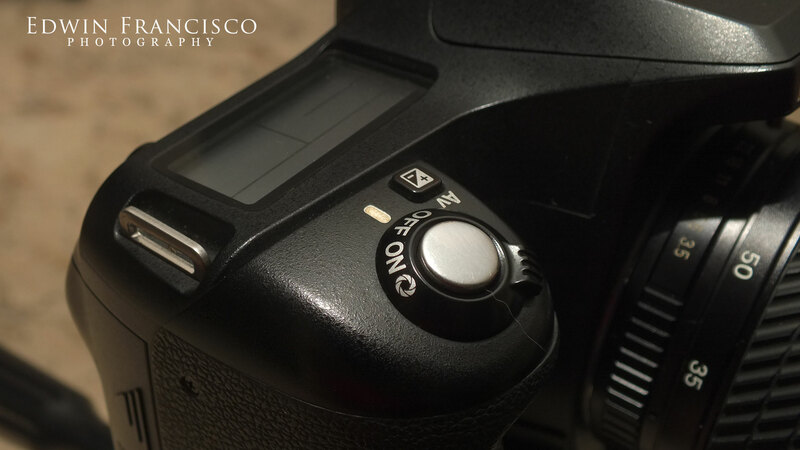 Camera works on Auto Focus or Manual focus. I’ve set it to Manual for me to actually get used to playing around with manual settings instead of relying a lot on the automatic settings. The camera has several settings too for automatic features. But for now, I’ll keep it at manual until I read the entire manual. Another interesting factor with the camera is that there is a “shake reduction” system on the camera itself. Today’s modern cameras has Vibration Reduction (Nikon) or Image Stabilization (Canon) on the lenses themselves. This makes sure that regardless of what lens you are using, a little shake from your hand while holding the camera will lessen the chance that you’ll have a blurred shot. 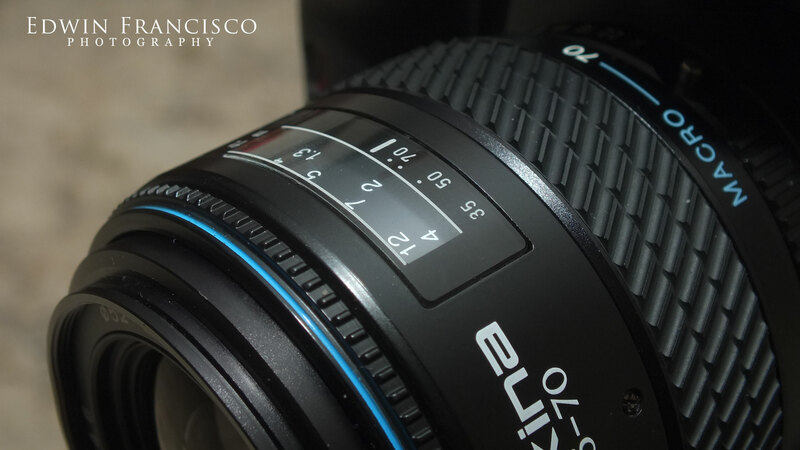 Coming from a Fujifilm HS25EXR, using the camera is like using something out of this world to me. I’m still trying to get a hang of it. 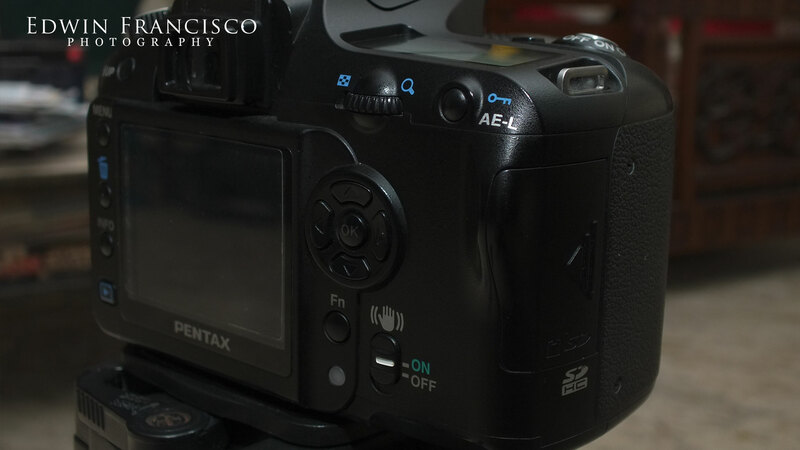 So in terms of ease of use, Fujifilm is very user friendly compared to Pentax. It’s interesting that there is a “depth of field” preview function. You can actually use the viewfinder for this, but since it’s not easy to preview the image there, I tested it viewing it on the LCD screen. Unfortunately, it uses the camera to take a quick shot to give you a preview. 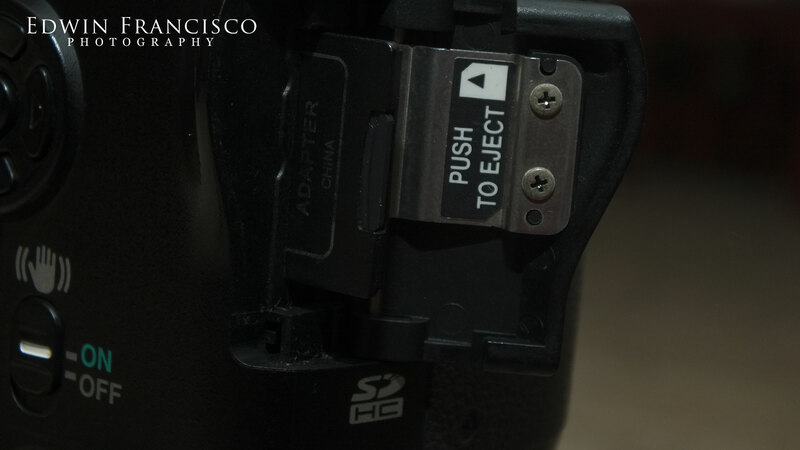 That’s not good since taking a shot will move the shutter og the camera which only has a very limited lifespan, they call shutter release an “actuation”. This camera already has 37,209 acutations before the it was sold to me. Although the owner said that it should take 100,o00 actuations before it actually breaks. If that is true, if I take care of it, this camera may still take a couple or more years before this breaks down. Using the viewfinder is a bit difficult at the moment, but it does feel “right”. 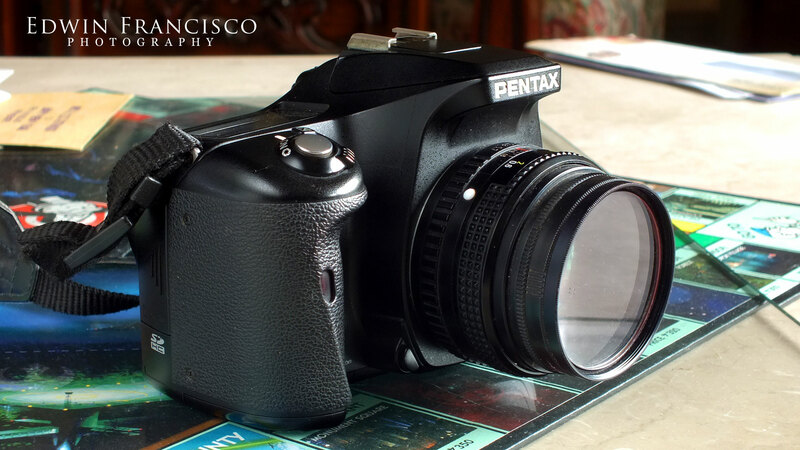 The viewfinder is a penta-mirror which you can actually see the image in which the camera is lens is viewing. This is great, but my issue is not the image it generates, it’s that the viewfinder is hard to look at when you are in a dark area. Electronic viewfinders has some advantage over that. 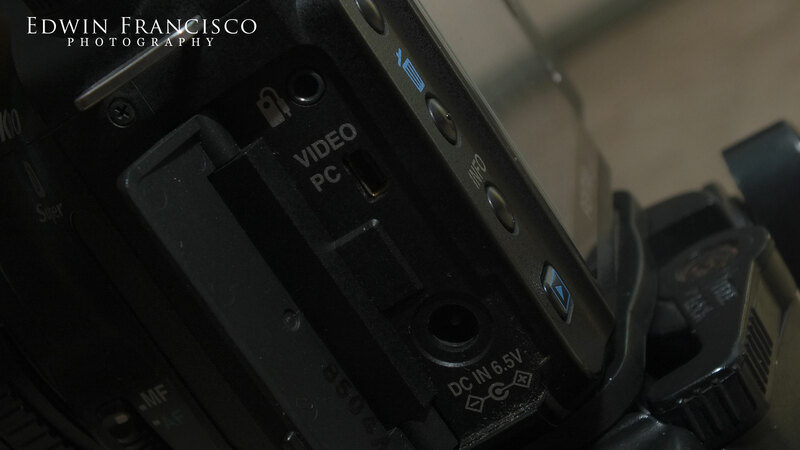 The camera uses MMC/SD/SDHC memory cards. Those are pretty easy to find, so I won’t have issues with memory card for quite a while. The original owner even provided me a 8GB micro MMC card which is easily readable by my laptop’s memory card reader. I was told that the remote system can actually use Nikon remotes, actually, even CDR-King remotes work too. Although I haven’t tested it. I like that it also uses a regular mini USB plug. The LCD screen looks great, everything is clear and easy to read. Although navigating through the menus are long. I still have to read a lot to understand this camera. 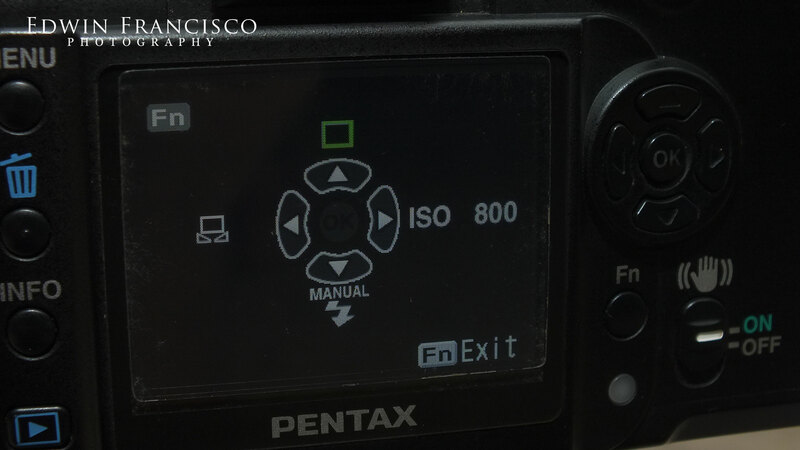 Another LCD display that indicates your setting without forcing you to look at the viewfinder. Note: Sent it to repairs at a Pentax store located in Robinson’s Galleria, Quezon City, Metro Manila in June 16, 2015. I got it 2 months after, but I should have been able to get it earlier but going to Quezon City is usually out of the way. The repairs were easy they said. Nothing major is wrong with the camera. They just made sure that the buttons and the power were working fine. But there was nothing wrong with the camera overall. 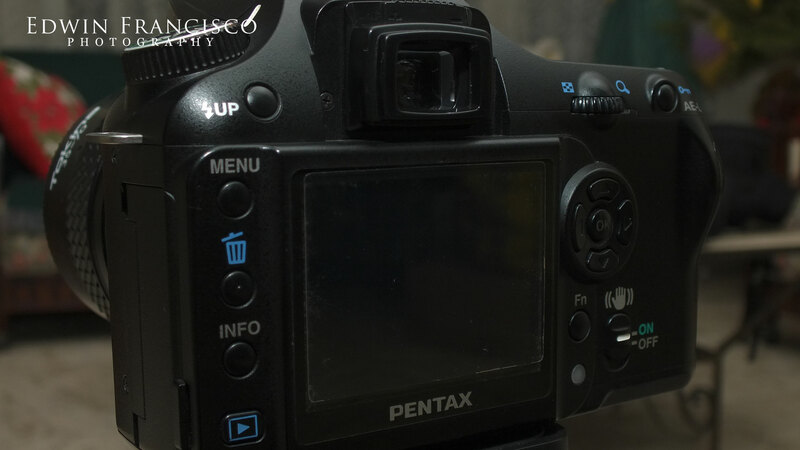 Although they did warn me that if there comes a time that the problem was a major component, they won’t have any parts since the camera is already unsupported by Pentax.